Continuing our UX Industry Insiders series we spoke to Elisa del Galdo Head of Customer Experience and Director at strategic marketing consultancy Blue Latitude Health. Elisa discusses the role of well-practised UX and its significance within healthcare and pharmaceuticals. Why not join the conversation on Twitter - @Consortia_UX. If you're interested in sharing your expertise, please contact us here. We’re living in a world of quickly evolving technology – an age of virtual reality. The real question is, can we maintain the pace? At Consortia, we believe knowledge is power, which is why we have sought expert guidance from thought leaders across a variety of industries, on the all-important topic of user experience (UX). Technology shapes how patients, healthcare professionals and companies now engage and interact with one another. While progressively we rely on technology, to ensure technological advancements change lives, companies will have to adapt their strategies to seize the new opportunities and methods of communication. How is the UX sector changing with the emergence of new healthcare technologies? The health-tech sector is one of the fastest growing in the world. As technology even more embedded, we’ll continue to need the skills of UX experts and we are likely to see the number of positions rise over the coming years. Medical industries now use more and more digital services, and this means there will be an increased need for UX skills in both research and design with the addition of a love for science. UX is a key driver in the digital healthcare revolution and it will continue to modernise and improve the way healthcare services are designed and accessed by putting to work their skills in both research and design. Technological developments will become more accessible and fuel innovation and continue to take advantage of the new opportunities technology provides. It’s an interesting career where you’re always developing and able work on many different areas and project types. It’s also very rewarding, we’re lucky enough to have the opportunity to really make an impact to patients’ outcomes and make a difference to their quality of life. How do you use UX to improve patient access? Healthcare is a complex industry. Patients’ needs are changing and a growing number of patients want to have more control over their own healthcare. It goes without saying that healthcare and welfare is an incredibly sensitive issue for many individuals. We want to ensure we are considering the patient’s expertise in their own illness and they feel confident about the treatment they are given. To solve this challenge, UX designers are working tirelessly to bridge the gaps between patients, caregivers, healthcare professionals and healthcare providers and meet the requirements of a connected but diverse set of stakeholders. There is also the added complication that this industry is highly regulated and risk adverse. And rightly so. This does have an impact on the UX practitioner particularly in research activities, but with experience, these hurdles can be more easily overcome. The product, service, app or tool being designed is likely to require the UX practitioner to have a deep understanding of the relevant science or medicine. Design projects begin by carrying a research and insights stage used to inform the design. The context and content for which you are designing needs to be fully understood – including, the condition, treatments and the challenges an individual may face. What challenges could tools, apps and devices create for the healthcare industry? One of the challenges that the healthcare and pharma industry faces is the growing number of apps and devices, which monitor and track personal health. While these interventions are an innovative use of technology, they aren’t regulated by healthcare professionals and this can be problematic. To increase confidence in these apps and ensure desired outcomes genuine research with target users should be carried out to provide statistical evidence that demonstrates the desired outcomes for customers. Which modern developments have room for improvement? Patients can now sign up for an online GP service, which would give the impression of an improved user experience to patients- no more need to actually go into a doctor’s surgery. However, once you sign up for this service, you are dismissed by your GP surgery and there are only so many things a GP can assist a patient within a remote online consultation. Closer collaboration between the GP’s using this digital platform and pharmacies would enable the patient to access a GP online and then visit the pharmacy in person. This could eliminate the need for the patient to visit the GP first. Or even the ability of the GP to determine if a surgery visit is required. Not only would this save resources, it would also provide patients with a streamlined and simple process, which improves user experience and makes good health economic sense. The technology should be utilised to its full potential and continuously developed to ensure the best experience for all stakeholders not just patients, but GPs and pharmacists, as well as the healthcare system. What are the technological innovations transforming healthcare services today? One piece of cutting-edge tech is the Proteus Smart Pill, also known as the Abilify MyCite pill. The pill contains a sensor that sends data to a smartphone app and database, which the doctor can monitor. The information allows doctors to see no only if the patient has adhered to their treatment but allows the collection of other biological data. This data provide essential feedback to a physician on possible side effects, or the treatments ability to delivered the desired outcome. It also gives family caregivers the chance to have much more knowledge of those in their care, e.g, a child. This technology of a chip in a pill has many uses, from monitoring for patients to that of clinical trials, understanding the impact of treatments, and just for those that forget to take their medication. Elisa del Galdo is the Head of Customer Experience and Director at Blue Latitude. 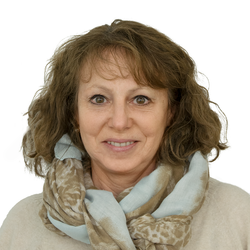 Elisa has over 20 years of experience in HCI, beginning with a strong educational background where she was taught and mentored by some of the most influential people in the industry. Want to be the first to know about new Industry Insider articles? Sign up here.